Gruff Rhys presents the soundtrack for the film Set Fire To The Stars (2014). Although recorded around the same time as Gruff's last LP (2014's hugely acclaimed American Interior), Set Fire To The Stars paints a very different picture to that of the Welsh explorer John Evans. Equal parts cocktail jazz, hazy Americana and atomic age bop, it's a love letter to New York in all its hopeful, post war glory - a gorgeous diversion of a record to add to Gruff's increasingly brilliant solo catalogue. 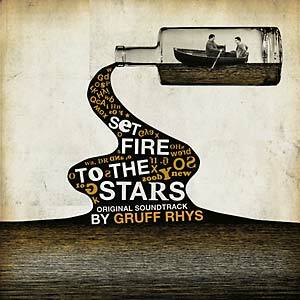 Gruff on Set Fire To The Stars: "This is an album of music written for a film directed by Andy Goddard concerning the poet Dylan Thomas's first week in the USA in 1950 and his uneven friendship with fellow poet - and agent of sorts - John Malcolm Brinnin. As the film is shot in black and white and set in the jazz age, I decided not to use any instruments unavailable in that era. I also kept the recordings as live takes. Beyond that - I didn't try and ape the style of that era in particular apart from the song 'Atom Bomb' which on screen, plays on a jukebox in a cafe and needed to be true to the year sonically and lyrically in some way. Playing the guitar, I formed a short lived 'Agro-Jazz' quartet (you got a problem with that?) called Video Loss with Chris Walmsley on drums, Jim Barr on double bass and Osian Gwynedd on piano. 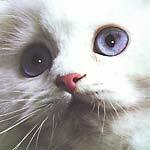 I wrote a bunch of songs and instrumentals. Some other bits were improvised to picture by Osian Gwynedd and myself. 'Chop Shop' features Video Loss on max Moon-Ra improvisational setting. Gruff ab Arwel arranged all the strings and Gavin Fitzjohn played and scored the brass. It was recorded and mixed at Toybox, Bristol by the incredible Ali Chant - apart from the strings which were recorded at Metropolis, London."